Mascara 3 Hello there! Today, I'm writing a review of this mascara product. From the moment I logged into this website, I've wanted to write reviews for every new item in my beauty bag, but I came up with a rule of testing and trying out of it for no less than a month. 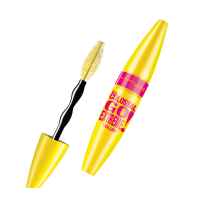 MAYBELLINE The Colossal Go Extreme Volum' As it’s already known every girl loves what she hears. We all fall for the sounding promises by a cosmetic product and start longing it. I’m not an exception. Of course I couldn’t pass by this mascara with such promises. What it can do with your lashes. Before and after photos. Superhero powers for my lashes.